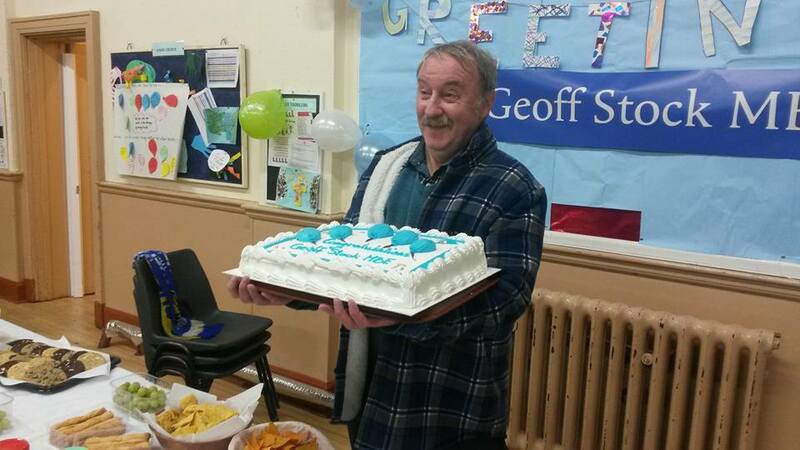 Horfield had a very good reason to celebrate the New Year as the news emerged that Geoff Stock had been awarded an MBE in the New Years’ Honours List for his services to young people and the community in Horfield. Geoff has run the Horfield Young Peoples Club for 42 years since its opening on 25th January 1975 and can easily recall the event which gave him the idea in the first place. “I was at a social event at the old St Edmunds Church when I went outside for a breather. While I was there a group of teenagers approached me and asked if they could go inside. I couldn’t let them as they didn’t have a ticket but it was as a result of that request that a group of us got together and decided we wanted to set up a young people’s club”. 32 young people attended the opening session, largely from the Manor Farm Estate. Geoff wanted it to be an open club so that it could be of benefit to the whole community. In no time at all the number of young people attending had reached 76 which led to the group having to be split into two, Juniors and Seniors. Geoff can recall many events over the years. The Evening Post advertised that a Boys Club from Dundee were in Bristol and were looking for a game of football, at exactly the same time as he was looking to start a football team up. The game went ahead and the money raised from it funded the purchasing of his teams kit. The football team was in existence and played for many years, never in a league but they played many friendly games. They put on variety shows for the community for the benefit of organisations such as Avon Swifts, a Horfield-based disabled sports club who have sent athletes to the Paralympics, and St Christopher’s School, a special needs residential independent school based in Westbury Park. Geoff became very involved with the Saving the Field campaign on Wellington Hill but typically gives all the credit for the campaign’s success to Sam Thomson of the Friends of Horfield Common. He recalls with fondness the parties the club put on for the Jubilee in 2012 when they had 100 people at the hall enjoying an old-fashioned sing-a-long. A sponsored walk is done every year and these walks have helped to support such organisations as Shelterbox, Hawkspring, Claremont School Hydrotherapy Pool, a bone marrow appeal for Yvette Gale who sadly lost her battle for life, and the Julian Trust. Today the Horfield Young Peoples Club takes young people up to the age of 12, they then progress to Helper Leaders and some have even gone on to become Adult Helpers. Geoff pays tribute to Hilary Blanchard, the Club’s Chaplain and to Parish Priest John Hadley for their support. As far as the future is concerned Geoff would like to explore link-ups with other areas. Geoff says, “I couldn’t quite believe it when I found out, initially I thought it was a prank. I’m just a very ordinary chap and the club has been part of my life for 42 years now. I have been indebted over the years to the wonderful people who have helped including the adult leaders and teenage leaders”. The Club meet at Horfield Parish Church Hall on Wellington Hill on Fridays between 6.15 and 8pm.